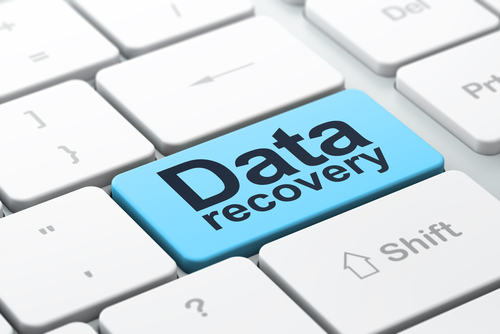 There is a lot of free software for recovering data in the market for recovering your lost data. These programs are vital for they can undelete deleted information on your computer. Deleted files are always on the hard drives of your device, and you can use recovery software for retrieving this data. If you do not know the procedure of undeleting these files, some online tutorials and videos will help you in recovering the data. You can use some of the software below when you want to recover information from your hard drives. Glary is a premium data recovery tool that has a premium user interface which is easy to use. The biggest advantage of this device is the folders view option and the windows explorer view of the files to recover. It also gives a prominent indication state for every file suggesting the likelihood of recovering these files successfully. The only disadvantage with this tool is that you require an installation before using it. This tool is crucial for recovering tools from flash drives, hard drives, and other media. This software runs on all Windows products in an offline mode. Softperfect file recovery is a superb data recovery program. It has an easy interface for recovering data. You will have a lot of ease using this software even when you have little information on using the computer. This software will recover deleted files from memory cards and hard drives. It will also recover data from any storage device on your PC except the DVD-ROM. This recovery tool is minuscule in size making it very portable. It supports all Windows and DOS operating systems. Disk Drill is a free data recovery tool because it has a very simple design and features that make you not to get confused. This tool can recover over 500MB of data from any drive. You can also have a preview of files and images before recovering, scan, and perform recovery of all partitions. This data recovery software also knows how to filter files and run quick scans and full scans. This package works well on all Windows and Mac operating systems. This recovery tool is robust recovery software that is easy to use and has advanced optional features. This recovery tool can recover information from external drives, hard drives CD and DVD discs, and iPods. This data recovery software free program works on all Windows 32 and 64 bit operating systems. This system is small for download, easy to use, and comes in both portable and installable versions. It has a simple wizard for accessing advanced options which are perfect for everyone to use. It also supports many operating systems. Downloading the file recovery software tool from the internet is quite confusing. The installer for this recovery tool also adds other programs on your computer. It supports the recovery from drives as big as three terabytes. This is the right plan for you because it does not involve installation. You also have the option of using an advanced mode that provides additional sorting capabilities.